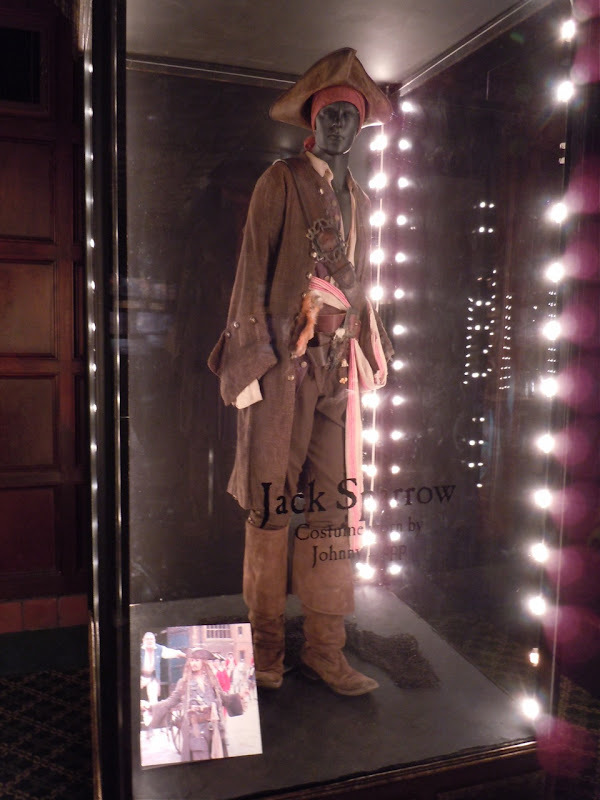 If you haven't already been to see Disney's latest blockbuster Pirates of the Caribbean movie, then if you're able your should pop along to the El Capitan Theatre in Hollywood to check out some wonderful costume and prop exhibits from the movie, including Johnny Depp's 'Jack Sparrow' costume from On Stranger Tides. 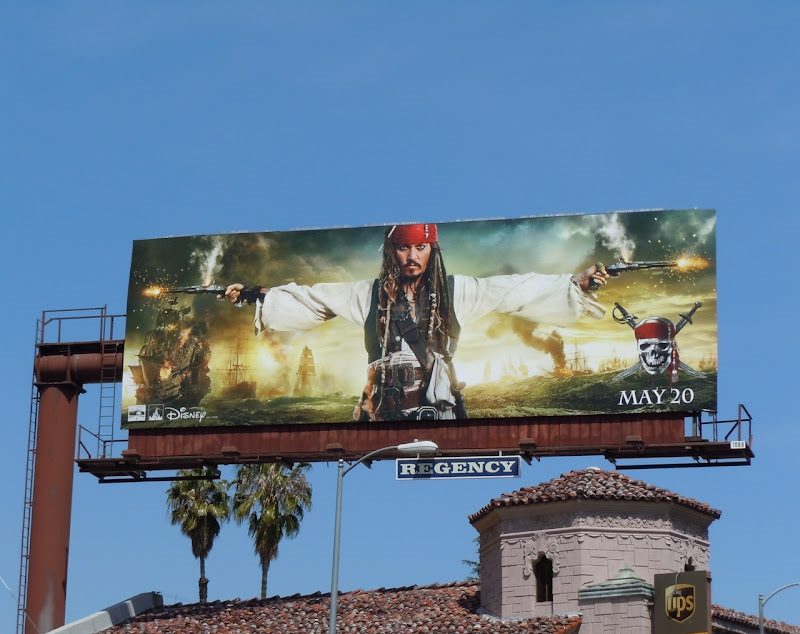 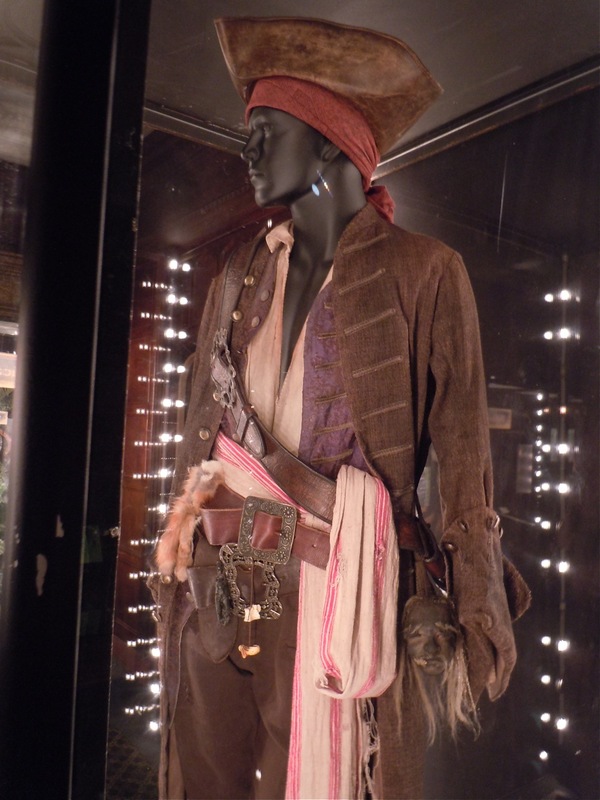 Jack Sparrow's costume is designed by Penny Rose and in addition to his mysterious new scar on his face in this fourth installment, he also has a new vest waistcoat. 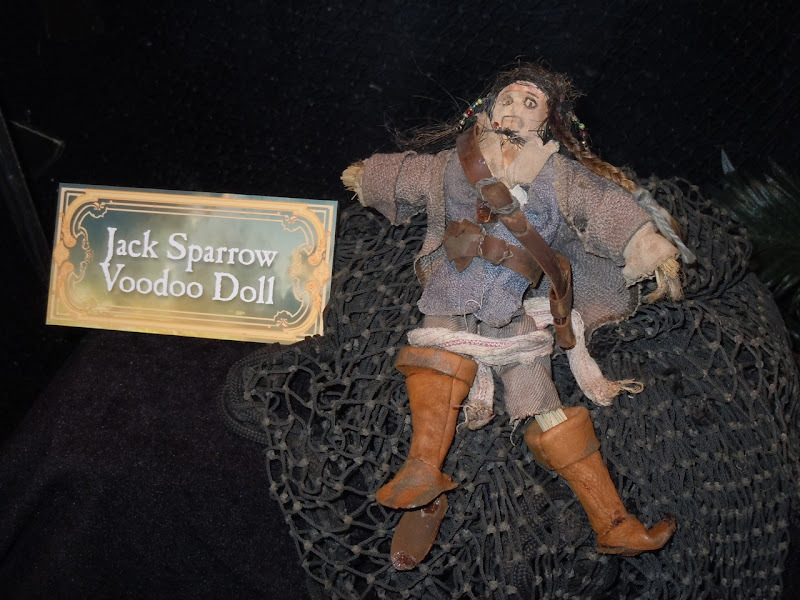 On his belt you'll find attached an assortment of accessories, from a chicken foot voodoo trinket to some lucky animal pelts, and even a shrunken head. 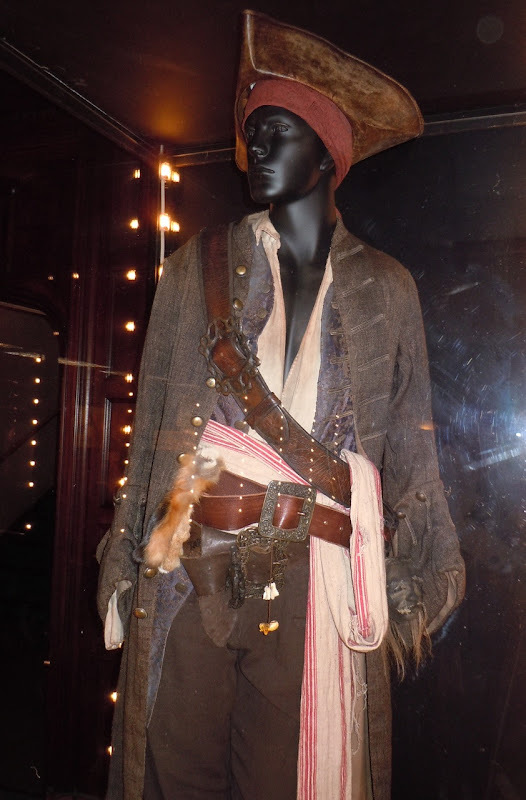 It's amazing to see this costume up close with his signature tricorn hat and bandanna, but it's a shame that it's missing Jack's eccentric pirates hair with its beads and weird mementos in his braids. 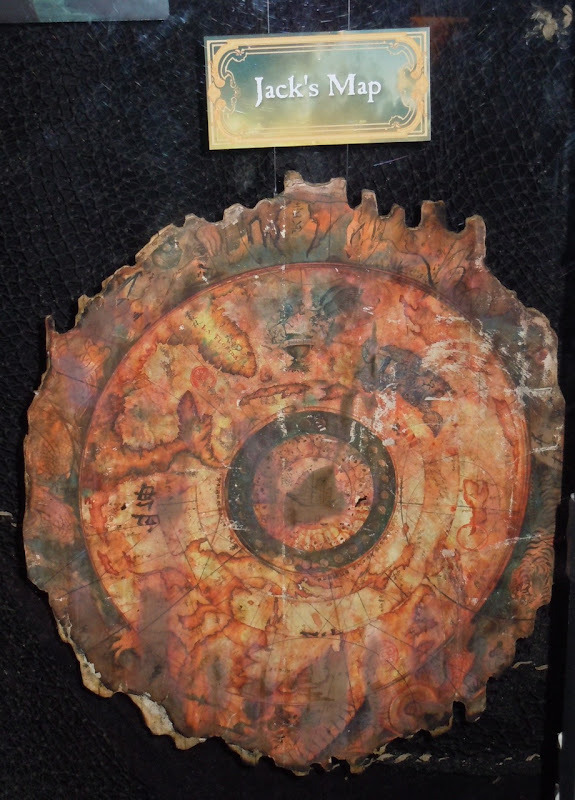 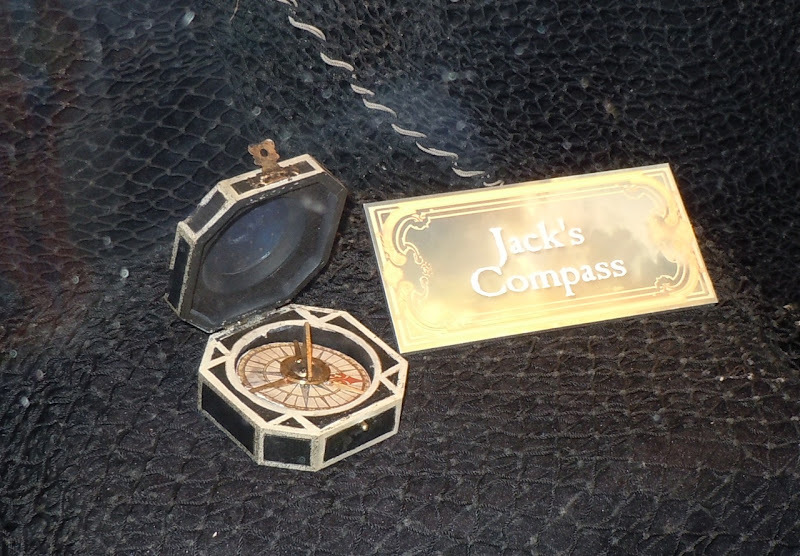 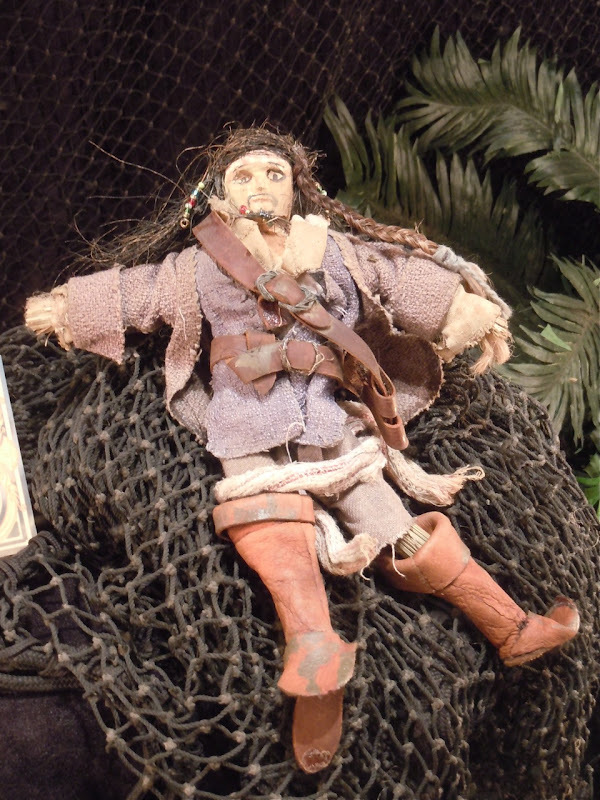 Also included in the exhibit was props used by Johnny Depp in the movie, like Jack Sparrow's magical compass. 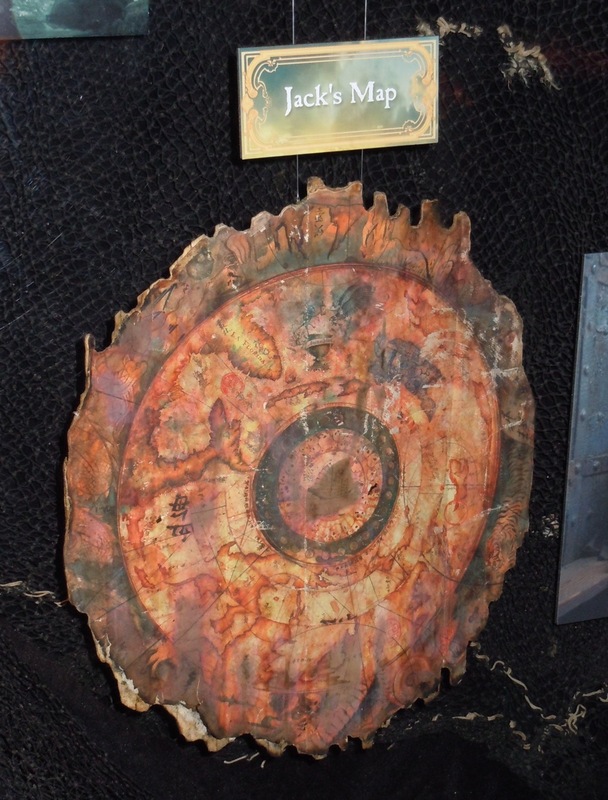 There was also Jack's map to help lead the way to the legendary Fountain of Youth. 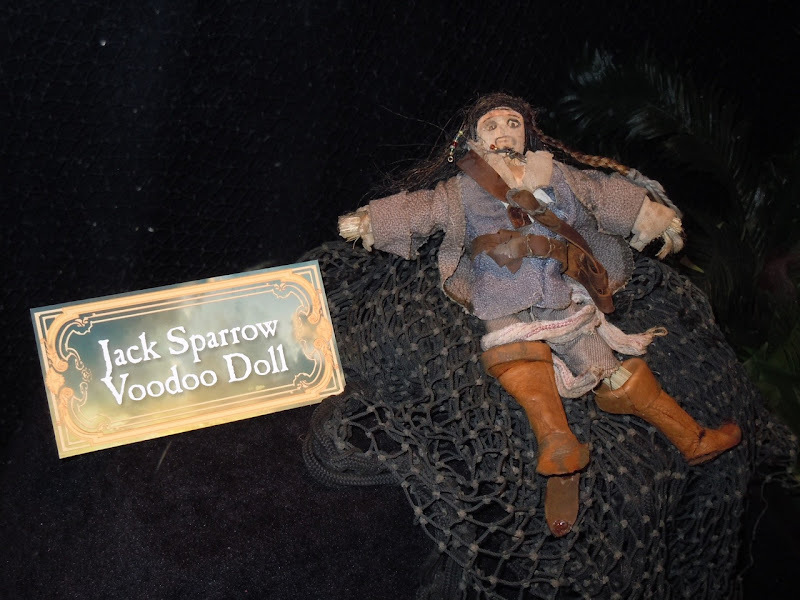 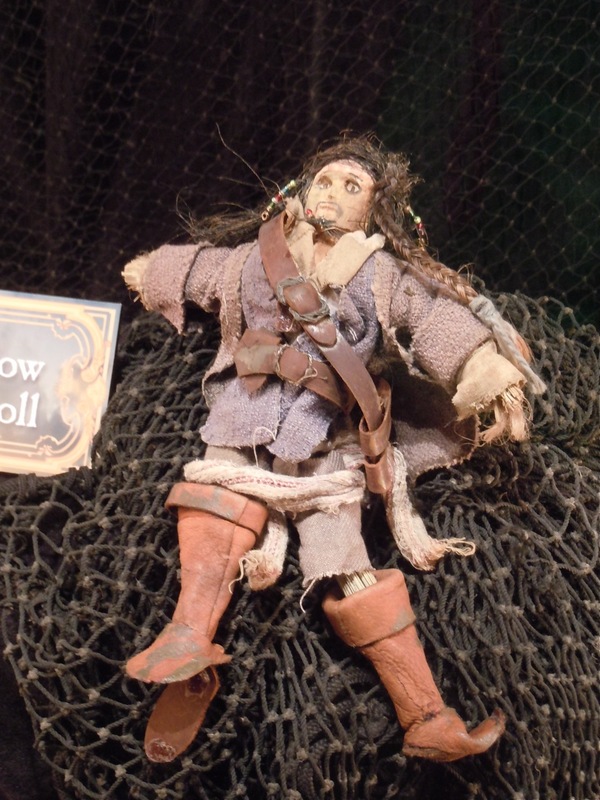 This next prop was a real treat, as it's Blackbeard's voodoo doll of Jack that he uses to inflict pain on him. 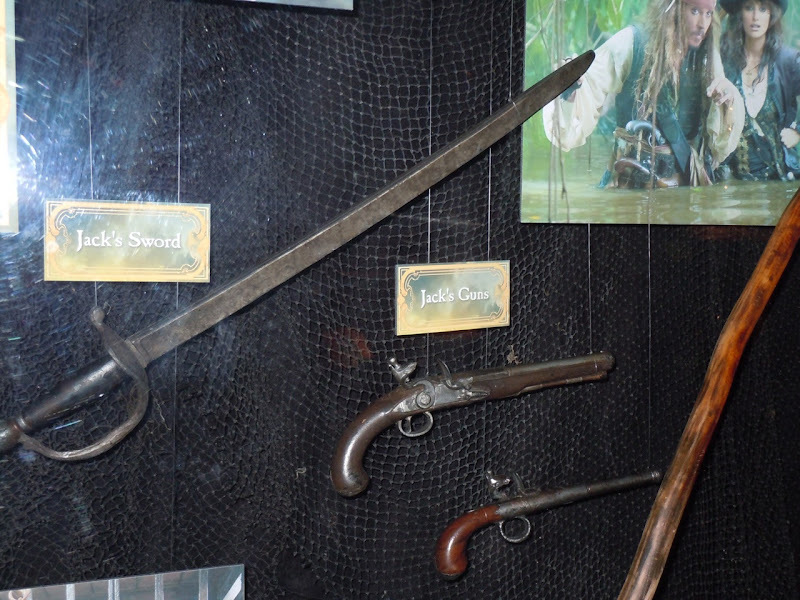 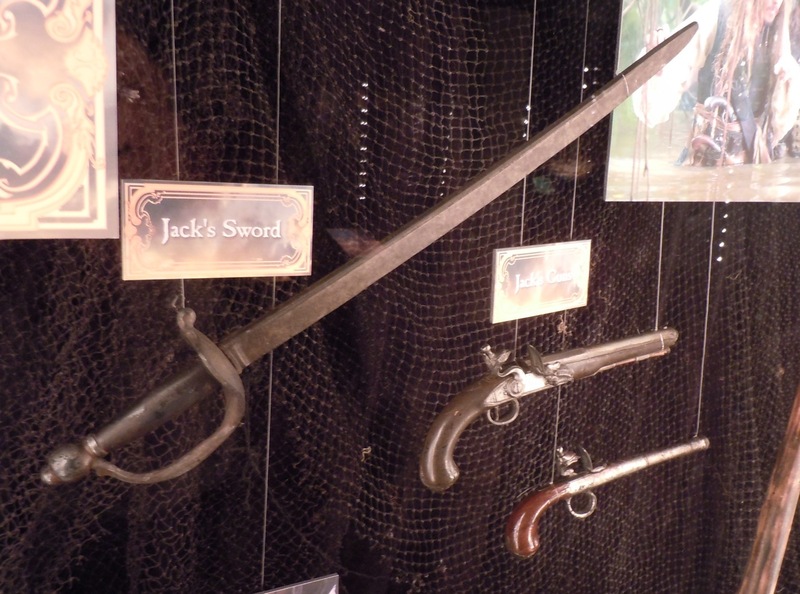 They also had Jack's weapons of choice, his pirate sword and pistol props. 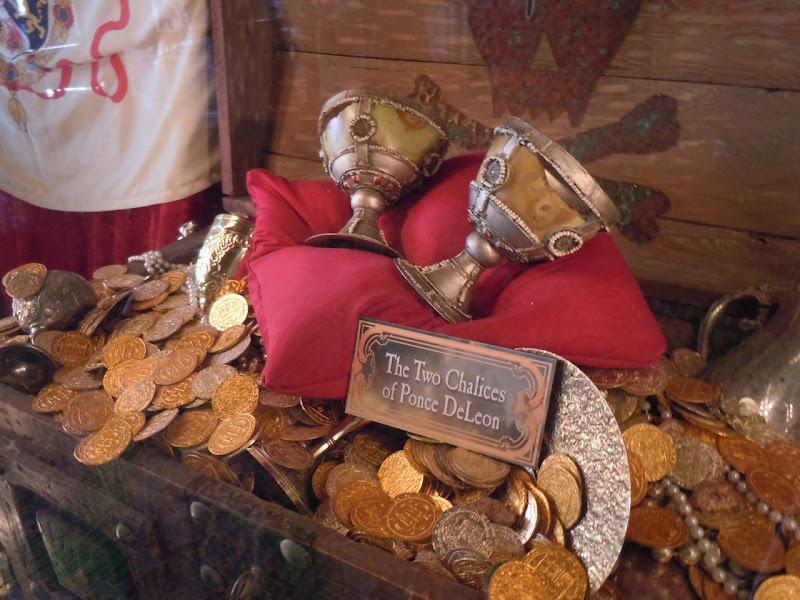 And finally, two of the Ponce DeLeon chalice props required by Jack to enter the hidden Fountain of Youth and needed for the ritual to benefit from its restorative properties. 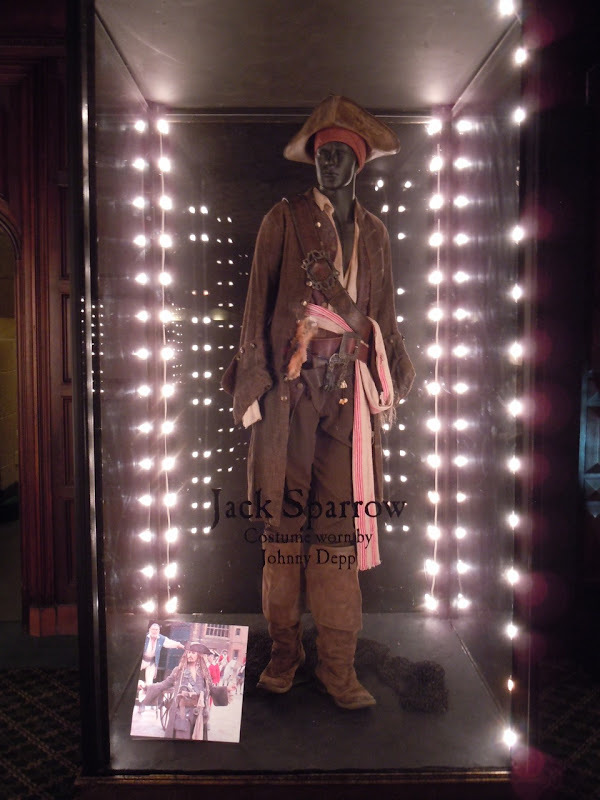 All of these fantastic original costumes and props were snapped on May 23 at the El Capitan Theatre where they'll be on display until June 22, 2011. 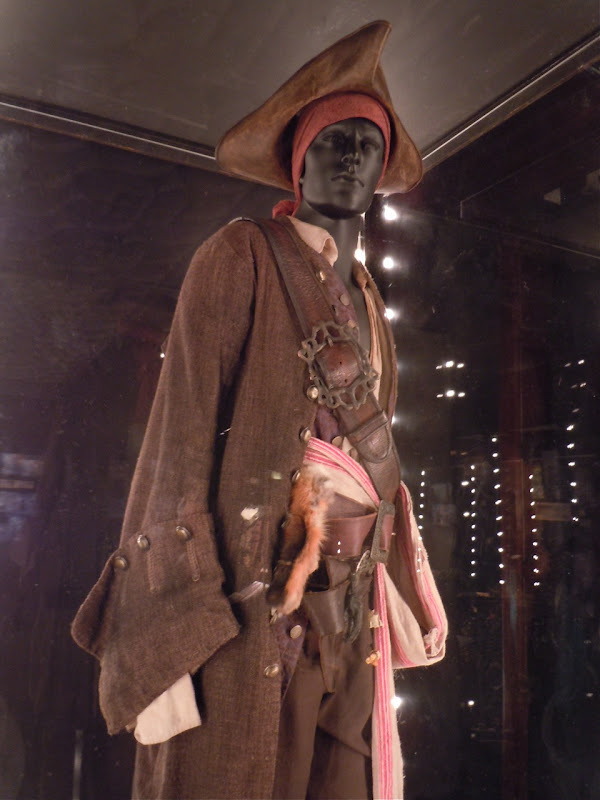 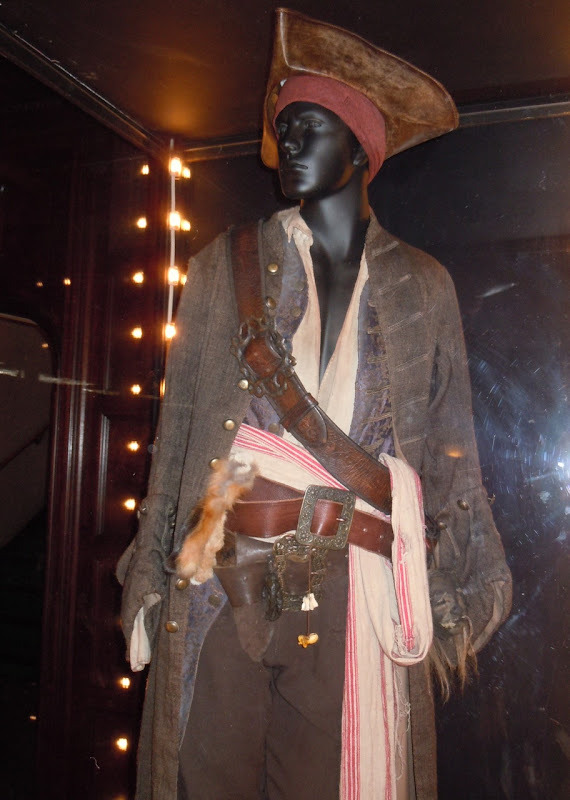 If you're a Pirates fan, be sure to also check out Captain Hector Barbossa's new costume from On Stranger Tides on display at ArcLight Sherman Oaks cinema. 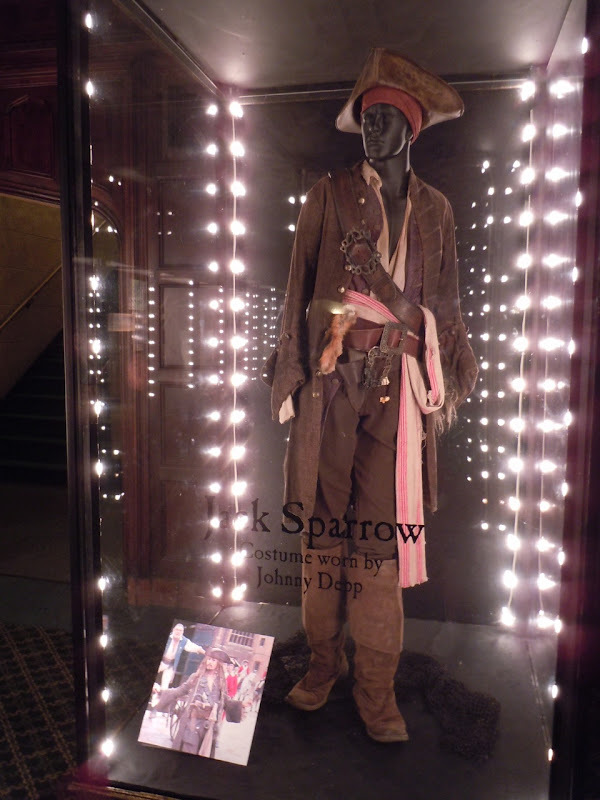 The movie was great. 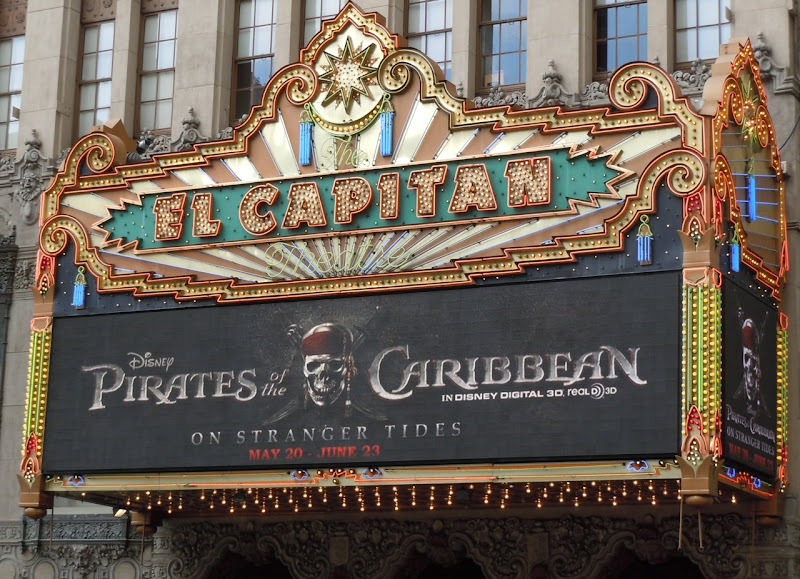 I saw it Friday, and I liked it. 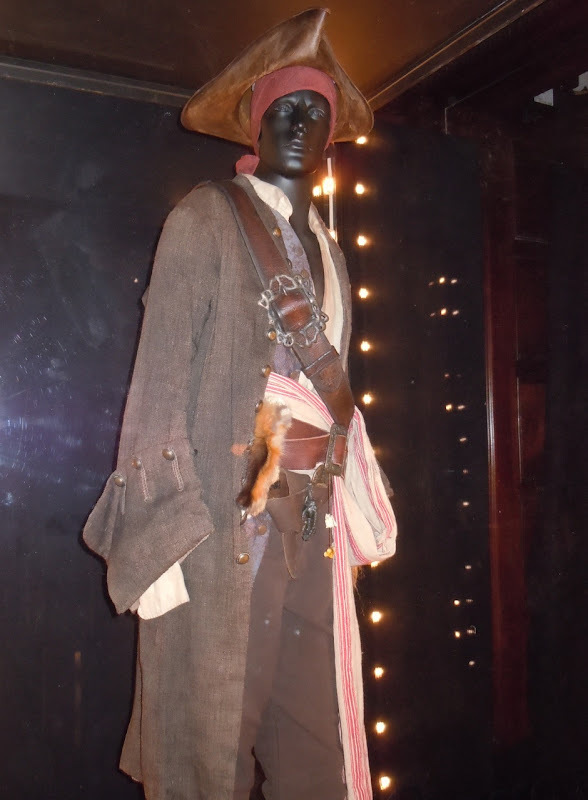 It seemed to be missing something or had too much of something but I really liked it. 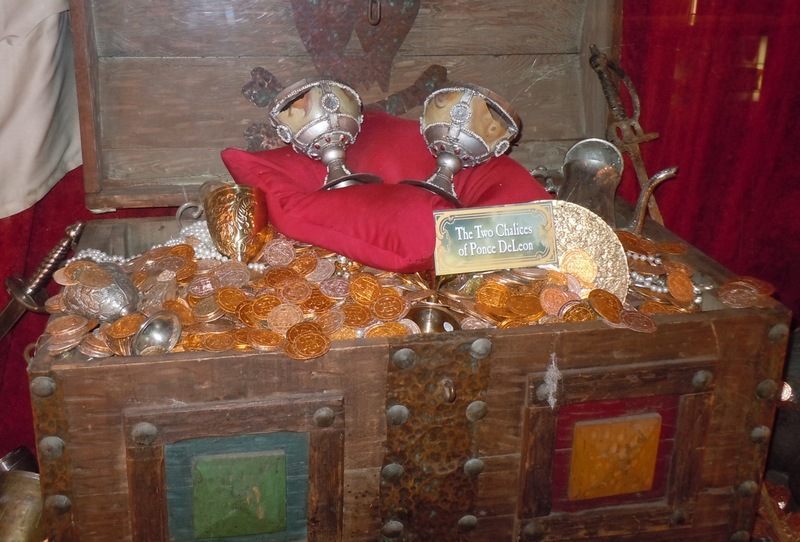 I loved the Mermaids!! 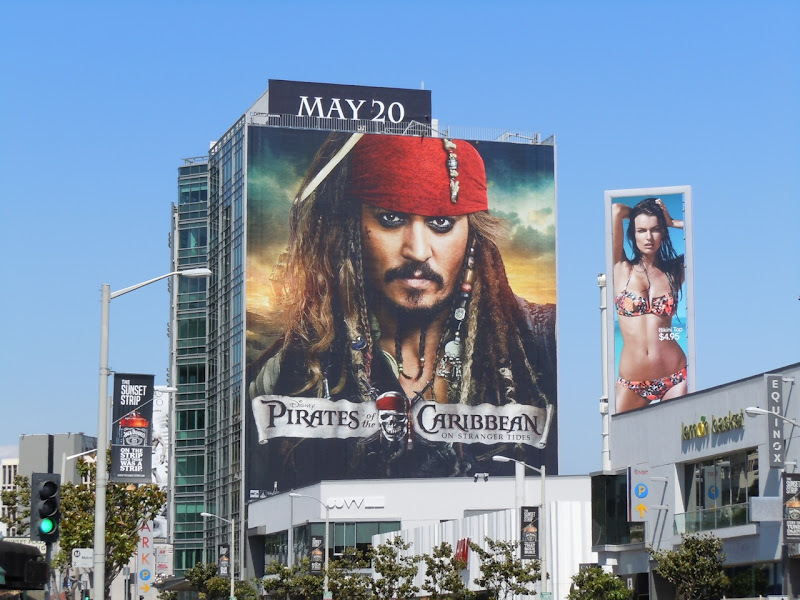 Johnny is wonderful of course! 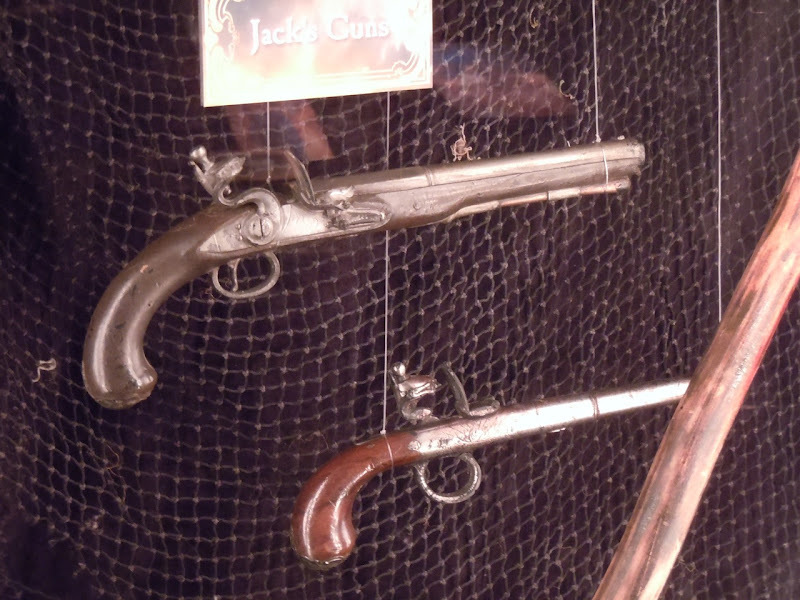 saw it wednesday brilliant love jacks stagger started to do it myself!